The U.S. and the United Arab Emirates on Friday said they had agreed to preserve their security partnership even as their dispute over alleged government subsidies to Gulf carriers remains unresolved. The deal to be unveiled Monday commits Dubai-based Emirates Airline and Etihad Airways in neighboring Abu Dhabi to improve financial disclosures and avoid cross-subsidization by government-owned service suppliers. 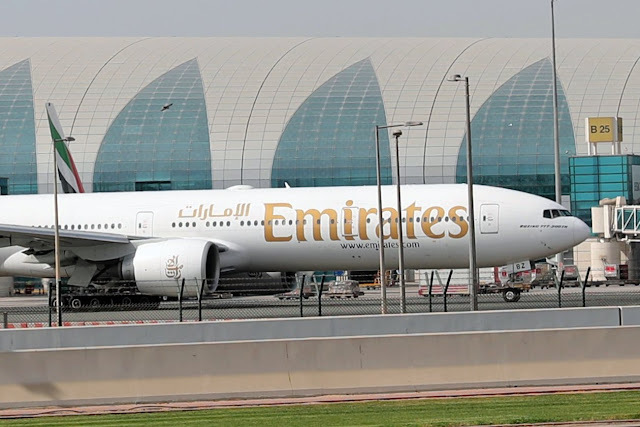 The agreement falls well short of demands by some U.S. carriers and labor unions that have spent an estimated $50 million on lobbying over the past three years for U.S. lawmakers to curb the expansion of three state-owned carriers: Emirates, Etihad and Qatar Airways. The rapid growth of the Gulf carriers, by leveraging their geographic position and a range of new longhaul jets from Boeing Co. and Airbus SE, enabled them to take market share from U.S. carriers and European partners such as Deutsche Lufthansa AG. The group of U.S. carriers led by Delta Air Lines Inc. and labor unions said the state-owned Gulf carriers benefited from more than $50 billion in government subsidies. The Middle East carriers say that isn’t the case. Emirates Airline, the world’s largest carrier by international traffic, in a statement Saturday said it welcomed the agreement, adding that it hadn’t agreed to curb existing traffic rights and retained the right to expand services to the U.S. including from Europe. Etihad had no immediate comment. “This agreement is a win for American jobs and shows that President [Donald] Trump stands up to countries that violate our trade agreements,” said Scott Reed, campaign manager for the Partnership for Open and Fair Skies, a lobby group for Delta, American Airlines Group Inc., United Continental Holdings Inc. and airline unions. “The U.A.E. is very pleased that our understanding with the US preserves all of the benefits of Open Skies for travelers, airlines, communities and aerospace companies in both countries and around the world,” said Yousef Al Otaiba, the U.A.E.’s ambassador to the U.S. The US airlines offer dismal service, mediocre food, fees for everything, and old jets. If they instead spent the money they spend lobbying to decrease competition on actually improving their atrocious levels of service, they'd get somewhere. I haven't flown them in over three years and never plan to again. There are so many better airlines out there. Agree ... just take a flight on the same route on a US carrier or Emirates the choice would be clear. US carriers have abused their customers on domestic routes because we have no choice. They survive because of the restriction on ownership by foreign carriers, lift the restrictions and see if they can compete.